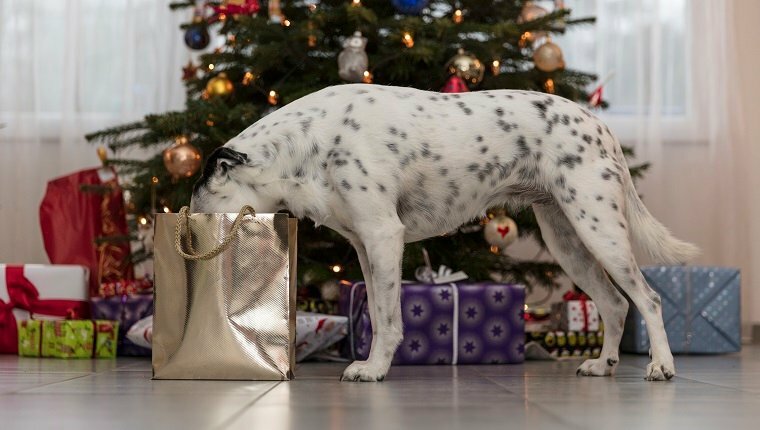 Before your family wakes up to see what trinkets Santa left under the tree Christmas morning, be sure that you have taken all of the proper precautions to keep your dogs and cats safe this holiday season. 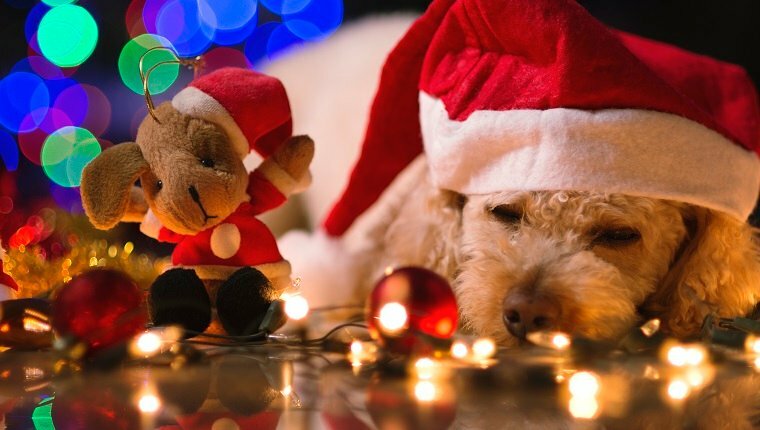 Here are a few Christmas safety tips to help you keep your fur family safe this holiday. Perhaps the epicenter of holiday danger for your pet is the Christmas tree. Failing to pet-proof the “O Tannenbaum” could result in upset stomachs, painful injuries, catastrophic veterinary bills, or even tragedy this Christmas season. Owners should always observe dogs and cats around the tree at all times. If possible, set up your tree in a room that you can easily close off when you’re not home. Many pet owners also create a barrier using a plastic pen or baby gate so pets can’t access the tree. Curious canines and felines will want to explore the odd tree that appeared in their living rooms. Dogs and cats are notorious for trying to jump onto—or even into—the tree, which could easily cause it to come crashing to the floor. Make sure you anchor the tree securely to avoid a dangerous tree-tipping disaster. Check your tree stand daily to confirm that the eyebolts are still locking the tree in place. For added security, anchor the tree to your ceiling with a ceiling hook and fishing line. 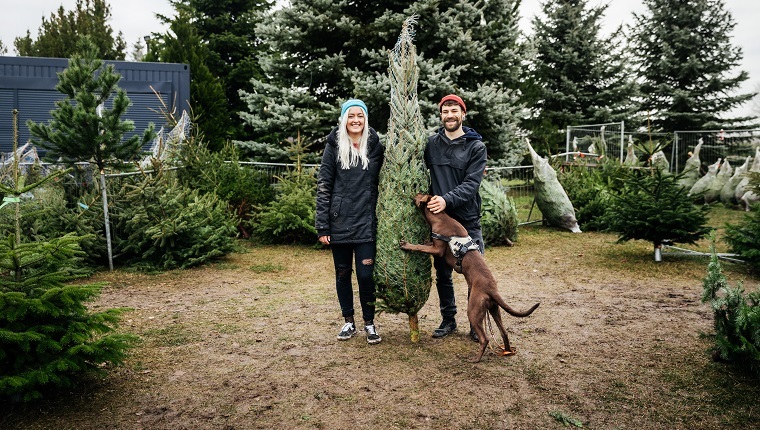 Pet owners who bring live pines, spruces, and firs inside for Christmas should make sure the water reservoir inside of the tree stand is not easily accessible to dogs and cats. As the tree drinks water, it can release sometimes-toxic sap into the stand that smells tasty to pets. Many fresh trees are also preserved with pesticides and fertilizer water additives, including aspirin. Aspirin can be fatal for cats because they lack a necessary protein in their livers to break down the drug. While veterinarians occasionally prescribe aspirin for dogs to treat various conditions, too much can prove deadly. Block access to the tree stand by thoroughly covering it with aluminum foil and a well-wrapped tree skirt. All the lights and baubles used to adorn your Christmas tree and your home sure are pretty, but they can pose a real threat to your pet. A 7-year-old mixed-breed dog from Southampton, England is lucky to be alive after ingesting a foot-long string of Christmas lights. Veterinarians say Charlie easily could have died from electrocution, internal injuries, or intestinal blockage after enjoying his decorative snack. Luckily, after emergency surgery, Charlie made a full recovery. But some pets aren’t so lucky. Be sure you fasten holiday lights to your tree and place cords out of reach of your curious pet’s mouth. Block access to any loose cords or wires. Those might look like tree ornaments to you, but to Fido and Fluffy, they are just potential toys in a festive display. Chewing on ornaments can cause cuts in the mouth, throat, and digestive system, as well as other serious injuries. Tree-trimmings like garland and tinsel when eaten can also result in gastrointestinal blockages that have the potential to harm or even kill your pet. Popular decorative plants like holly, mistletoe, and the poinsettia can be poisonous if ingested. English and Asian varieties of the holly plant contain toxic saponins, which can cause serious gastrointestinal distress when eaten. The viscotoxins in mistletoe are nothing to kiss over; eating the leaves or berries of this common Christmas plant can cause stomach upset and a slowed heartbeat. The poinsettia flower is typically only toxic when ingested in large quantities, so its reputation as the most dangerous Christmas plant is somewhat undeserved. That said, the milky white sap of the poinsettia tends to cause diarrhea, excessive drooling, and vomiting, which can pose a danger to a pet’s health. Christmas bouquets and floral arrangements that contain lilies are very hazardous to pets, especially cats. All it takes is a few bites of a lily plant to cause potentially fatal kidney failure in felines. Cautious pet owners should probably steer clear of including these beautiful but dangerous plants in their Christmas décor. Make sure your stockings really are hung by the chimney with care this holiday season; children’s toys, gift wrap, and candy should be kept out of reach at all times. If you believe your pet may have eaten something he or she shouldn’t have this holiday season, contact your veterinarian immediately. Keep the numbers to the nearest emergency veterinary hospital handy if harm or injury should happen after hours. And finally, call the 24-hour ASPCA emergency poison hotline at 1-888-426-4435 if you have any concerns about potentially harmful substances ingested by your pet. Specialists are available to aid you every day of the year, including Christmas. 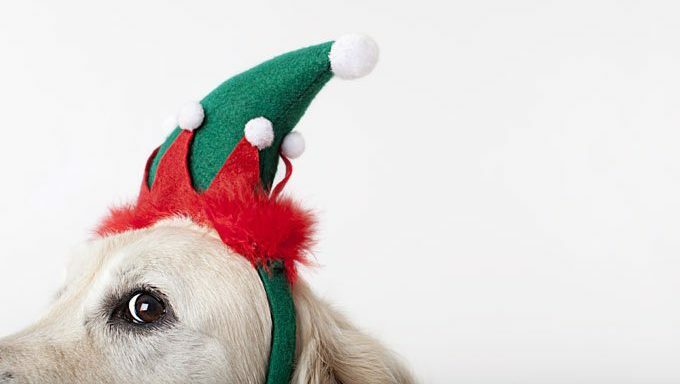 What steps are you taking to keep your pets safe this Christmas? Let us know in the comments below!